Tea Trees ( Leptospermum species, MYRTACEAE ). 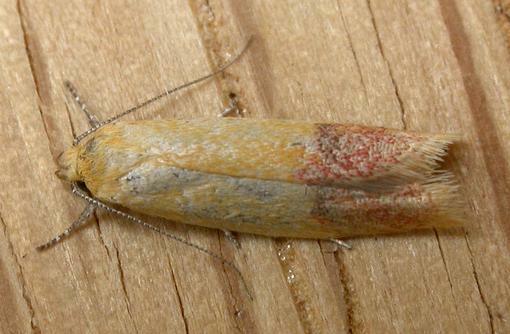 The adult moths have yellow forewings each with a broad pink margin. The hindwings are white, shading to pale brown at the margins. The wingspan is about 1.5 cms. CSIRO Publishing, Melbourne 1994, pp. 117, 119, 121. Volume 9, Part 3 (1884), p. 783.